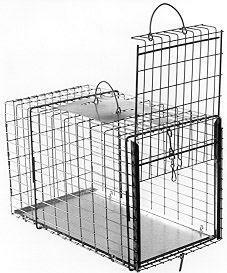 Model 307 is a sliding door cage for foxes, small dogs and similar size animals. One entire end of this cage is a sliding door designed for easy transfer from live traps. This transfer cage matches up nicely with trap model 608.3 and 608.5.